Some sad news— Betty McIntosh passed away yesterday at the wonderfully full but still too early age of 100. 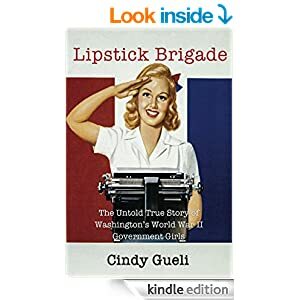 Betty was a Government Girl with the OSS and longtime intelligence offer who was kind enough to give me an interview for Lipstick Brigade. One of her stories about living in wartime Washington opens Chapter 4 of the book. She was a smart, sharp, kind, and funny woman. Betty will be missed by many. And watch a 2011 story about Betty and Doris Bohrer, another former OSS intelligence operative, who met and became friends for the first time when they both moved into a senior community in Virginia.